After recently visiting Shanghai, we now understand the importance of doing your research before landing. There is a lot to do and see, and surprisingly, a lot of halal food available! Shanghai is a tourist friendly city in which people will commonly speak English, but you should still be prepared and have your destination's addresses written in Chinese in the case that you need directions. Accessing the Internet in China - Research Needed! The first thing you should know before coming to China is that if you rely on Facebook, Google, Gmail, Whatsapp, Google Drive, and many other popular apps on your phone to get around, you won't be able to access it using a Chinese sim card, as these apps are blocked in China. How did we get around that? Well there are some common hacks, such as using a VPN on your phone, however that might be unreliable as more and more of those are being blocked each year. What we did was purchase an Asia-wide compatible SIM card in Hong Kong on our layover which was then able to access our apps unblocked. 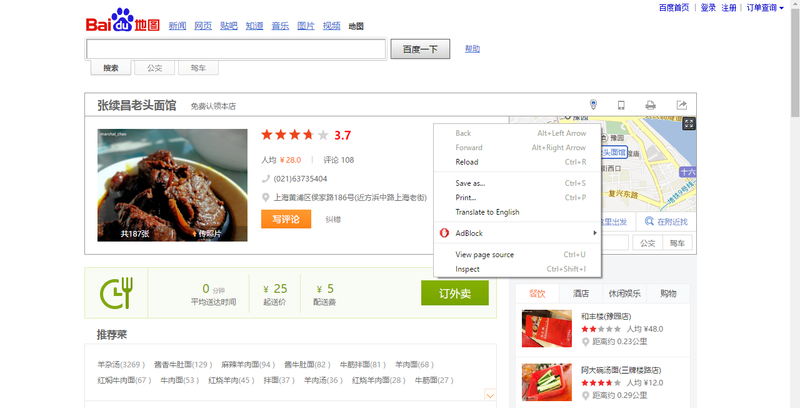 Step 3: Search 上海 (Shanghai) on Baidu maps so you can focus in on the city. Step 5: Search 清真 (halal) and zoom in and compare the Baidu map to a Google map in English that highlights the area nearby your tourist site (example: The Bund). When you find a restaurant that's nearby one of your destinations, click on the resulting pin, right-click the page and click "Translate to English". Step 6: Have a quick read of the page (the translation will not be perfect and is often amusing!) and see if any menu items stand out that mention pork. If not, click the Street View button and have a look at the restaurant's storefront. Step 7: If the restaurant is halal, it will have very obvious signage that says halal in Arabic and might have decorations like mosque designs. This is the way we found all of our restaurants, and when we went to them, they were owned and operated by muslims. You can rest assured that you're eating halal. 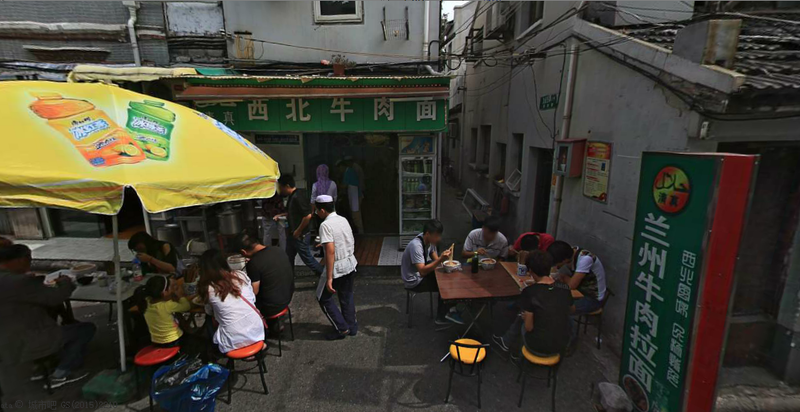 The following picture is the Baidu streetview storefront of one of the restaurants we ate at, and as you can see, there are brothers wearing Kufis and sisters wearing hijab working beside signage which includes the Halal symbol. It was an awesome experience eating there!